This FourTrax® Foreman® Rubicon™ line includes the standard 4x4, a Rubicon that adds Honda’s Electric Power Steering (EPS), and a stylish Deluxe version. 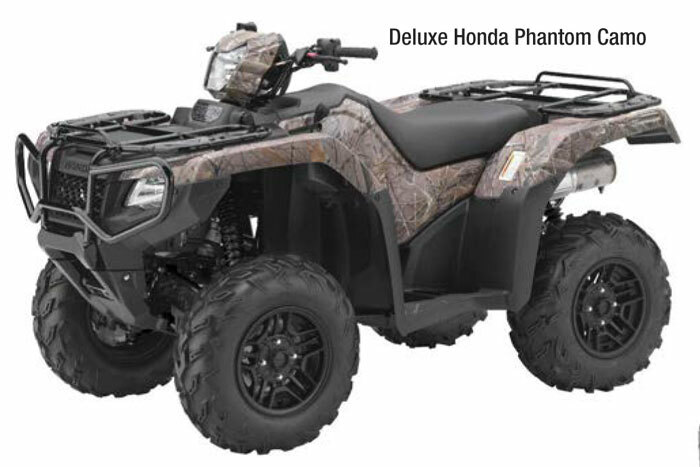 All three Rubicons feature aggressive styling, Independent Rear Suspension (IRS) and a powerful 500-class engine featuring Honda’s advanced automatic Dual Clutch Transmission (DCT). 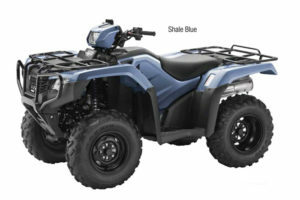 Riders looking for Honda’s latest technology in a strong-running, full-feature 4x4 ATV that includes an automatic DCT, IRS and more for maximum versatility and outstanding comfort.